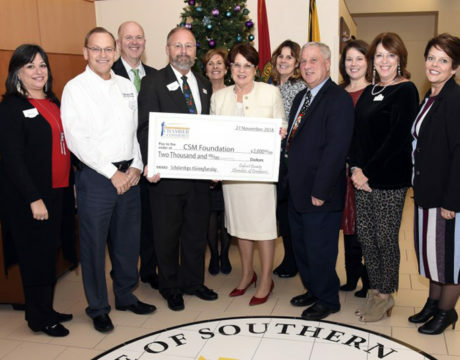 The Calvert County Chamber of Commerce gave the College of Southern Maryland a $2,000 check recently to help pay for student scholarships. 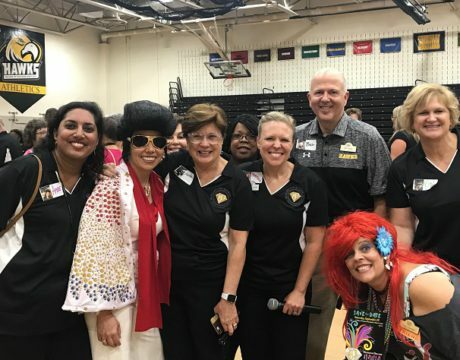 The Calvert Chamber made the presentation during the chamber’s annual holiday Business After Hours event hosted by CSM at its Prince Frederick Campus. 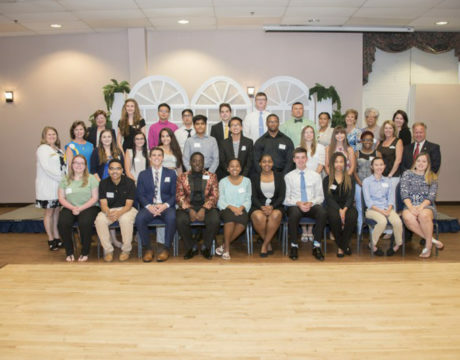 Scholarship recipients and the donors who made their gifts possible got the opportunity to meet at the 2018 College of Southern Maryland Foundation Scholarship Reception recently. 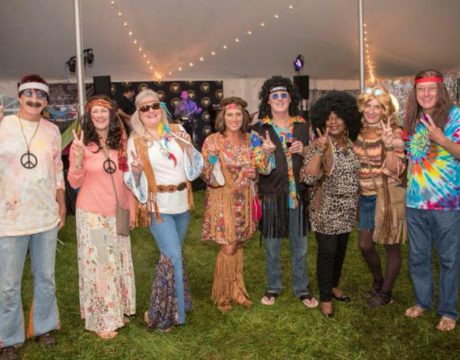 Members of the College of Southern Maryland Foundation, along with college faculty and staff, joined alumni and the entire Southern Maryland community to commemorate CSM’s 60th anniversary with a spirited “Diamond Decade Mania” bash Sept. 29, 2018. 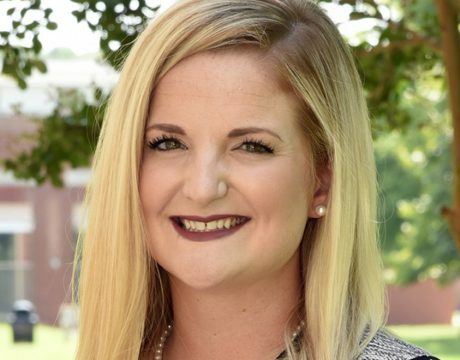 For the 19th year, College of Southern Maryland Foundation and the Greater Waldorf Jaycees Foundation worked together to award scholarships to Charles County students both entering and returning to the college. 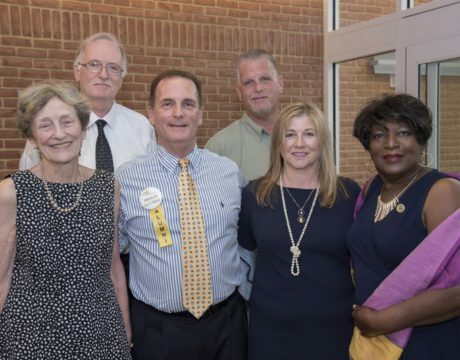 A ceremony at the College of Southern Maryland recently named the lobby, wing, and conference room in the Community Education Building at the La Plata Campus in recognition of the Lilly family and their recent legacy gift to CSM. 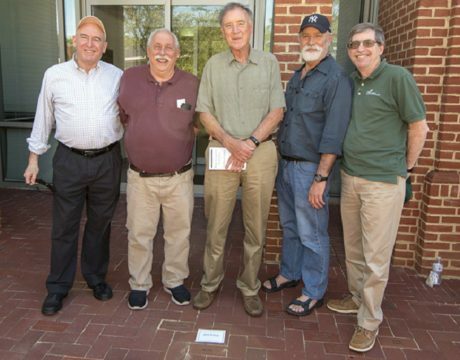 Eleven memorial bricks were recently installed along College of Southern Maryland La Plata Campus walkways – each engraved with the name of an individual, family, and a cat, who have a special connection to the college. 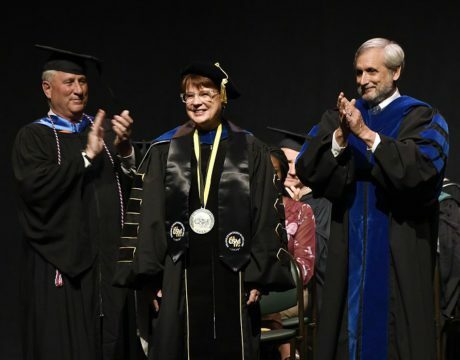 State and local dignitaries as well from colleagues from Maryland’s community colleges, and the College of Southern Maryland’s faculty, students, and foundation came together as Dr. Maureen Murphy was installed as the fifth president of the college in a ceremony May 22, 2018. 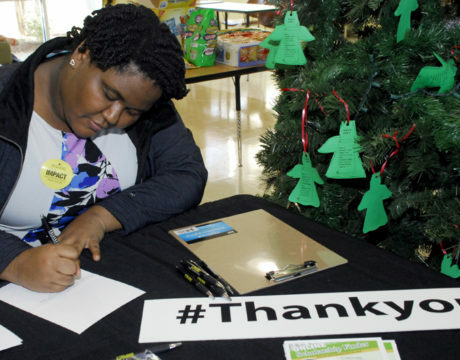 Donors demonstrated the generosity that is the hallmark of this community as they donated nearly $120,000 to the College of Southern Maryland Foundation on Giving Tuesday, Nov. 28, 2017.